9162 (dial side) view. 9162 back view. These movements are the "Rolls-Royce" of tuning fork watches, and were designed by Max Hetzel, who had left Bulova a few years previously. Hetzel was also the brains behind the Accutron 214. The 9162/4 and 9210 were known as the "Swissonic 100" line of movements, or the Mosaba (MOntres SAns BAlanciers). They were manufactured under licence to Bulova by Ebauches S.A., who, up until then, made several models of electronic balance wheel watches. The index wheels for the ESA tuning fork watches were made by Bulova. I suspect also that Bulova supplied the index and pawl fingers and jewels, they look suspiciously the same as in Accutrons. 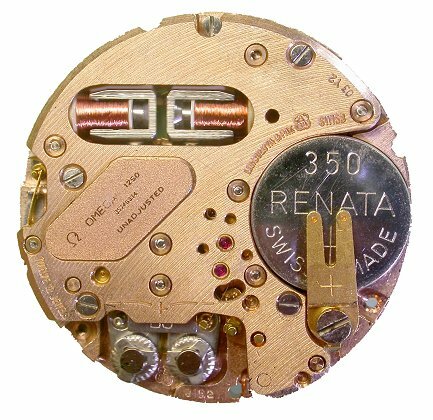 These movements are very well designed and made, and were used by Omega (known as the f300 cal.1250, 1255 and 1260), Certina f300, Movado (Zenith cal. 50.0 variation) Longines (Ultronic), IWC and numerous others. 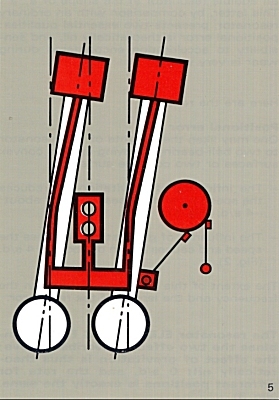 Why the "Rolls-Royce" of tuning fork movements? I made this statement some 15 years ago, as a way of defining the quality of these Esa built movements. So, after such a long time, I guess I had better explain more clearly my reasons for saying this, as people have asked why. 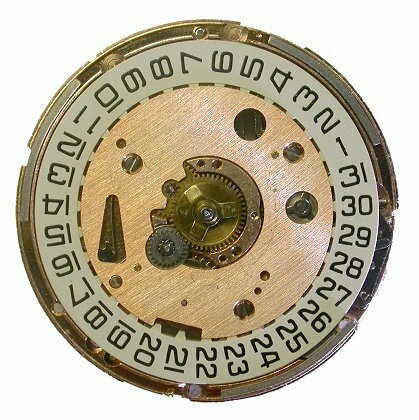 This movement was designed more than 10 years after the Accutron 214 went into production, and a few years after the Accutron 218 as well. So it seems that Esa (and Max Hetzel of course, as he was working for them at this time) took the opportunity to make some significant improvements to the design, not just from the user's point of view but from a service point of view also. It would seem that improving the serviceabilty of the movement should theoretically translate into a better, more reliable or more accurate watch for the wearer also, one would imagine. 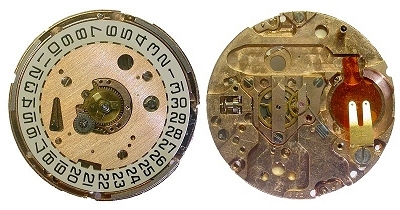 The Accutron 218 had solved the 214's problem of having no date, and the Esa 9162/4, like the Accutron 218, was offered with day or day and date (but never as a no-date model) . But, they did more! The most important improvement was with the design of the tuning fork. 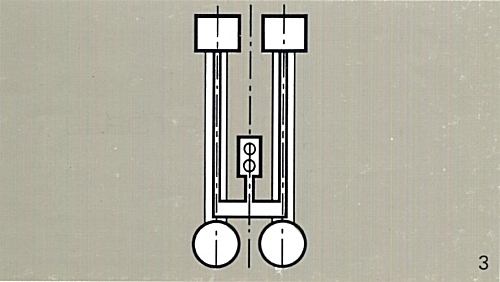 The big problem with the 214 and 218 was with their positional adjustment, meaning that the watch ran faster or slower according to whether the tuning fork was oriented up, down or flat. This in fact, is why Accutrons never gained chronometer status, while the Esa 9162/4 could and did achieve this distinction in accuracy. Most chronometer certified 9162/4's were Omega branded watches. 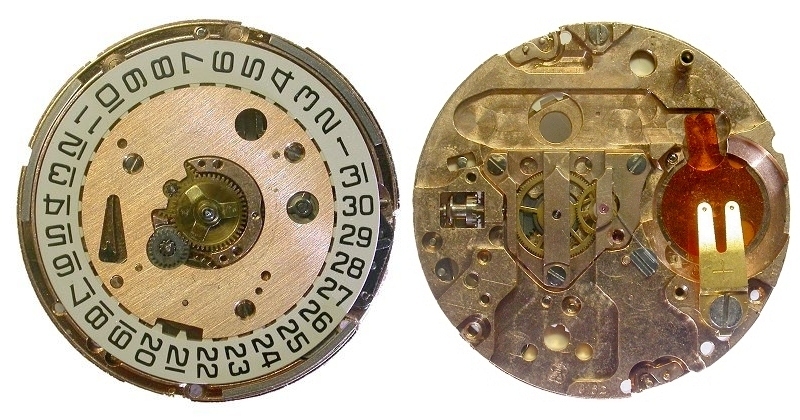 Getting a watch certified as a chronometer was expensive, and each single movement had to pass strict tests by an independant organization to be certified to the status of "chronometer", a term which is used to specify a level of accuracy and performance under a number of clearly defined temperature and positional ranges. This is strictly controlled by Swiss law to maintain the status of chronometer-certified watches. The Esa 9210 is a chronograph version of the 9162, and was offered as day-date only. All Omega versions of the 9210 chronograph were certified chronometers. The Accutron tuning fork follows the geometry of a traditional tuning fork - ie. 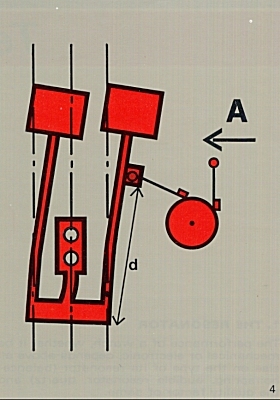 a mounting point (foot) centrally located between the two tines, at a point where the motion of each tine cancels out to zero. With the Esa tuning fork, two additional tines were attached to the cups and extended back past the foot of the tuning fork and balanced with the main tines. This gave them superior performance, as their errors due to position were nil. Another very important feature of the tuning fork design was the position of the mounting point for the index finger. The Esa tuning fork design allowed the finger position to be chosen so that the effect of shocks and vibration imparted to the tuning fork had minimal effect on the amplitude of vibration of the fork, thus minimizing errors. It is well known that shocks can cause an Accutron to gain time, due to the index finger picking up extra teeth. All these features are described in more detail below. 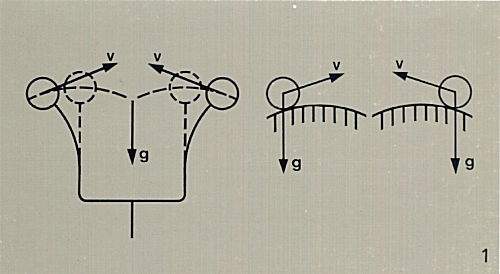 The Omega technical manual for the cal. 1250/60 describes the design of the Esa tuning fork, if you can understand Swiss-lish. So, I have completely rewritten their notes to make them easier to follow, though I have borrowed their drawings as-is. Resonator Design: The performance of a watch depends mainly on the type of resonator it uses, regardless as to whether it is a balance and hairspring, tuning fork or quartz crystal, and the quality factor (or "Q") of the resonating system. "Q" refers to how accurately the resonating system sticks to its intended frequency and how resistant it is to external influences. The higher the "Q", the better the resonating system is, which means better timekeeping. The Esa tuning fork has a resonator in the shape of a "µ", while the Accutron fork is shaped like a "Y". Compared with an Accutron tuning fork, the Esa fork has the advantage of theoretically zero positional error, and its susceptibility to faulty indexing due to shocks is very low due to the location of the index finger on the tuning fork. The reason for zero positional error is as follows: The weights on the tuning fork (the cups) may be thought of as being like two ball bearings running on two convex surfaces (fork oriented up) or two concave surfaces (fork oriented down). 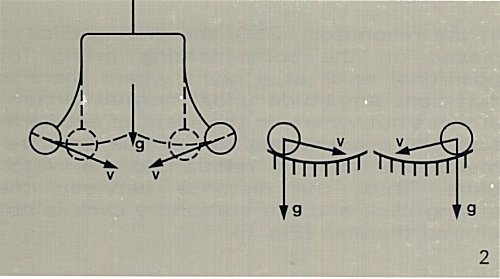 In the tines-up position gravity (g) reduces the speed (v) of the vibrations, as the the balls are theoretically going uphill, which causes a loss of approx. 4 secs/day. (Fig. 1). Conversely, when the fork is tines-down the opposite happens, the speed of vibration in enhanced due to gravity and the fork can gain approx. 4 secs/day (Fig 2). The exact amount of gain or loss depends on the length of the tines and other factors, but that is basically what happens. The Esa tuning fork looks similar to an Accutron fork, but has an extra tine attached at each cup, behind the fork and extending down past the mounting point or foot of the fork. The only point the secondary tines touch any part of the fork is at the attachment point at the cup. The other end of the secondary tines (opposite the cups) have an adjustable balance weight for tuning the fork. This design effectively combines the two effects of gravity described above, resulting in a zero positional error. As a side benefit of that, the error for all other positions is cancelled out as well. (Fig. 3). For the Esa tuning fork, the index finger is mounted on the secondary tine, more or less in line with the base of the main fork. The distance from the bending point of the fork to the index finger mount is much less than with the Accutron fork, so any disturbance to the tuning fork due to shock will have a proportianally less effect on the distance of travel of the index finger (Fig. 5). In addition, I am inclined to think that having the index finger mounting point closer to the neutral point of the fork would contribute to the improved "Q" (and ultimately accuracy) of this fork design, as any friction or variations in load of the watch train will have a lesser effect on amplitude than if the finger was mounted higher up the fork. 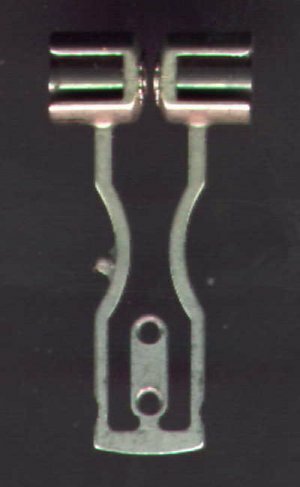 The design of the Esa tuning fork is probably the single most important improvement over the Accutron. There are a few other worthwhile improvements too. The next most important design feature is the way in which the index and pawl fingers are adjusted. The lower index wheel jewel sits in a small well in the watch plate. 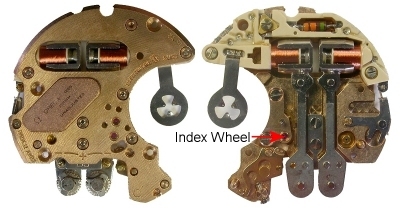 To adjust the index and pawl jewels, a small gauge (supplied in the plate of each watch movement) is placed in the well. The gauge gives an exact radius from the index wheel axis to position the index and pawl jewels. This accurately defines how much pressure the fingers exert on the index wheel, which is critical to establishing the right "draw" of the index wheel. The gauge also defines exactly the vertical position of the jewels, as well as their perpendicularity to the index wheel. These factors are very important in that they take all the guesswork out of adjusting the index mechanism, making setup more repeatable and with greater confidence that it has been done correctly. In addition, the well provides a support on which the index wheel can safely sit when reassembling the index wheel bridge, much reducing the risk of damage to the extremely fine teeth of the wheel. 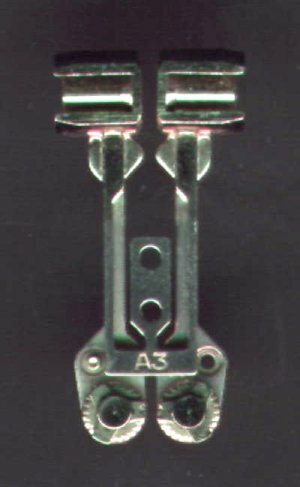 Lastly, the design of the pawl bridge is such that it only moves the pawl jewel along the periphery of the index wheel, and does not change the finger tension, as occurs in an Accutron. All these factors give more overall control over the index system, inherently making servicing and wearing the watch a much more reliable and trouble free experience. But wait, there's more! The coils of the Esa 9162/4 are individual, as they are in the 218. The improvement here is that they can be replaced without dismantling the tuning fork and index mechanism. Though in reality, I have always serviced a watch when it needed a new coil anyway, but the possibility is there, should a coil fail close to a service period just passed. All 9162/4's have a hack system, a useful feature on an accurate watch. The modular construction (described below) aids in helping make the watch relatively easy to maintain and service. Overall, the build quality is very good, consistent with Swiss watchmaking standards of the period and far superior to a lot of quartz watches you may find today. These watches are constructed in a modular form. The first module, called the "mechanism module", is comprised of the pillar plate, date mechanism, minute-work, and final reductions of the gear train. The second module, called the "oscillator module", comprises the back or top plate, tuning fork, electronic circuits, index wheel and first reduction. Do not attempt to remove one of these movements from its case without following the correct procedure, or damage to the index mechanism will occur if the second-hand is accidentally moved (same as can happen with a 214). They don't have a mechanical hack like the 218. A rumour has been circulating that these movements "chew up" index wheels, and some have suggested it is due to the shorter index and pawl fingers that these movements have. Is this true? Firstly, it is true that index wheels are more often replaced in these watches than in Accutrons. Secondly, it has nothing whatsoever to do with the length of the index and pawl fingers "placing increased pressure on the index wheel" as some repairers would have us believe. In fact, the index and pawl fingers in a 9162/4 are only a few tenths of a millimeter shorter than those in a 214 or 218 Accutron, not signicant in terms of overall length. 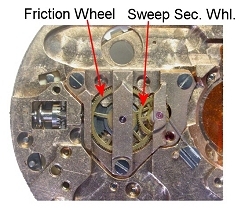 The cause of the problem lies within the Mechanism Module, and specifically, the Setting Clutch or as Omega call it, the Friction Wheel (see pic below). This is a slipping clutch that allows the hands to be moved seperately from the actual watch train, for setting the time. This clutch has - for want of a better term - a design flaw such that when the oil in the clutch either slowly evaporates or goes thick with age, it can transmit too much torque to the watch gear train when setting the watch. The effect of this extra torque is to cause the index wheel to unlock from the fingers, and spin. Not so bad if occurs in the normal direction of rotation, but if it is allowed to spin backwards, the index wheel teeth are eventually shaved off by the index and pawl jewels. Yes, the problem can be minimised. Firstly, make sure the watch gets serviced regularly (every 5-10 years) by someone who knows what they are doing. If necessary, this clutch can be lubricated without totally dismantling the watch, or upsetting the index adjustment. Also, when setting your watch, minimise the amount of backward movement of the hands, this will help a bit. Use the fast date corrector to reset the date. Check the page on setting these watches (here) if you are not sure. It is interesting to note that the circuit for these watches is virtually identical to the Accutron 214. No surprise really, since they were both designed by Max Hetzel, and ESA were licensees to Bulova anyway. The R-C network and the feedback coil have been interchanged compared to the 214. This would have been done simply to allow for the different construction of this watch. Electrically, it is no different.